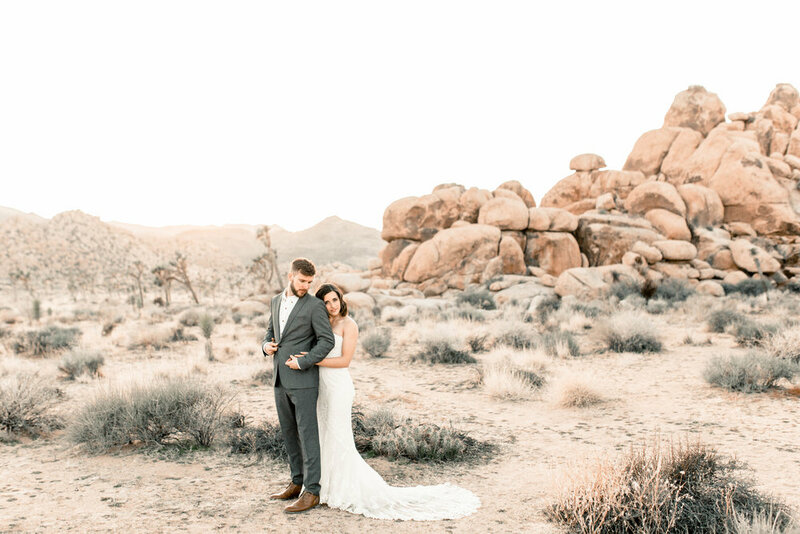 This Joshua Tree adventurous wedding is that dreams are made of! 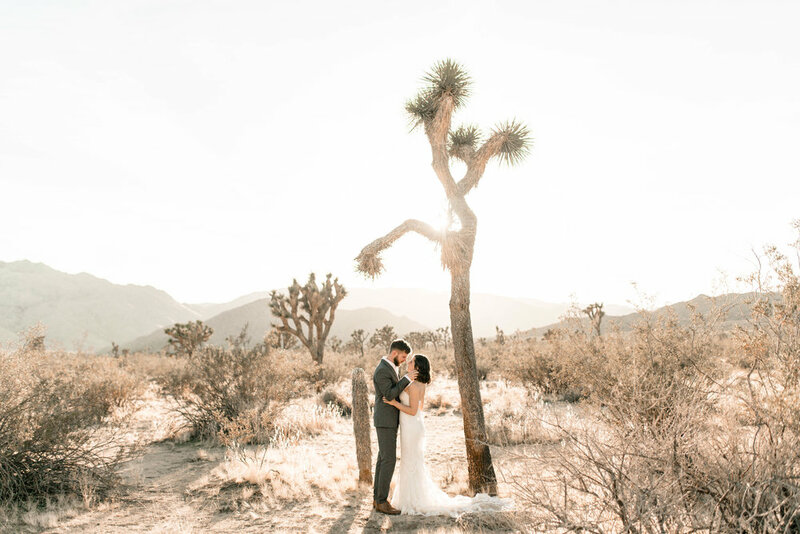 Emily and Andy’s elopement in Joshua Tree couldn’t have been more intimate and special. 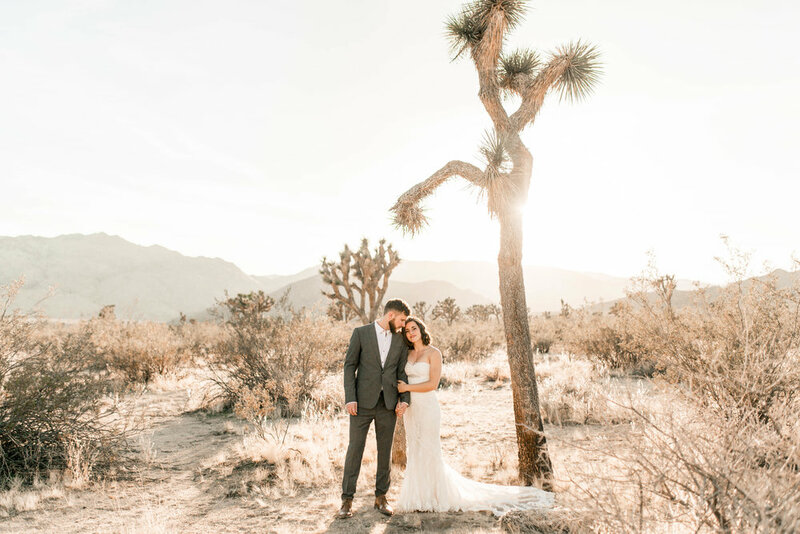 We had the sunset of a lifetime, Emily’s perfect gown, and a couple so heavy in love that I think even the Joshua tree’s were smiling! Emily, Andy and I started their shoot towards the entrance of the park and slowly made out way inwards as the sunset. joshua tree national park is such a special place, with its massive glowing boulders stacked upon each other, Joshua trees and cute little cactus perfectly dispersed through her landscape. And a light that provides a constant beautiful glow through the park. I had wanted to visit Joshua tree for a while, but didn’t realize how much I’d truly like it. Experiencing the national park with Emily and Andy was the cherry on top. These two are some of the sweetest souls you’ll meet. They live in Phoenix, Arizona and it was actually their first time to the park as well, making it a magical experience for all of us. 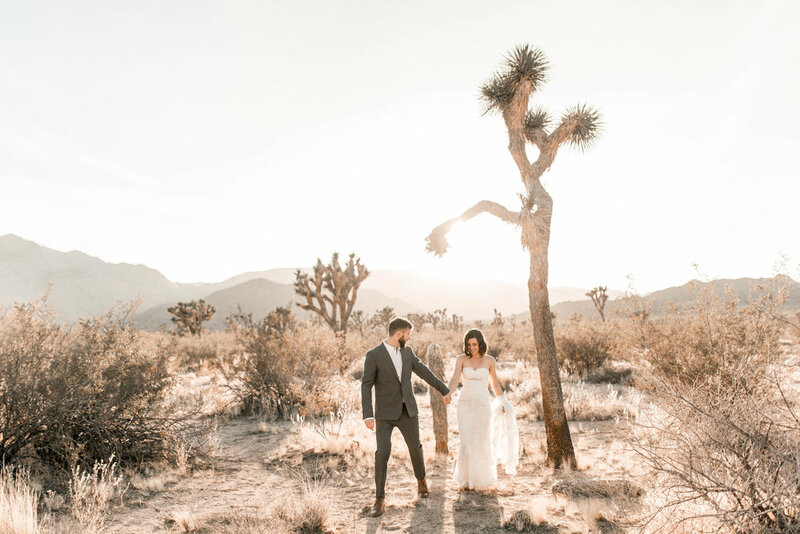 What’s better than saying your vows intimately to one another, after an adventure through the stunning Joshua trees, and getting married as a glowing sun sets over you…hard to beat in my book! 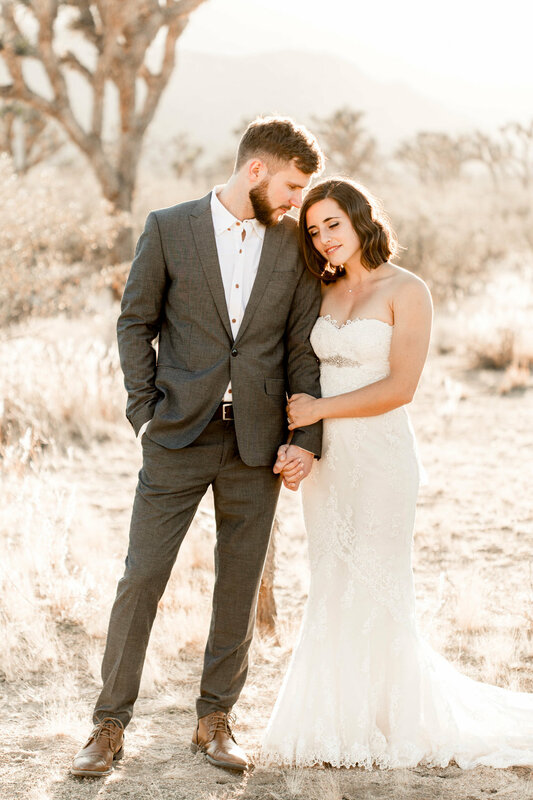 I hope you enjoyed this joshua tree adventurous elopement wedding as much as I did. There are few things I love more in this world that being a national park wedding and elopement photographer and I’m so grateful for the incredible couples that invite me into this space with them. If you’re planning an adventurous elopement, national park wedding or want to adventure together, get it touch!